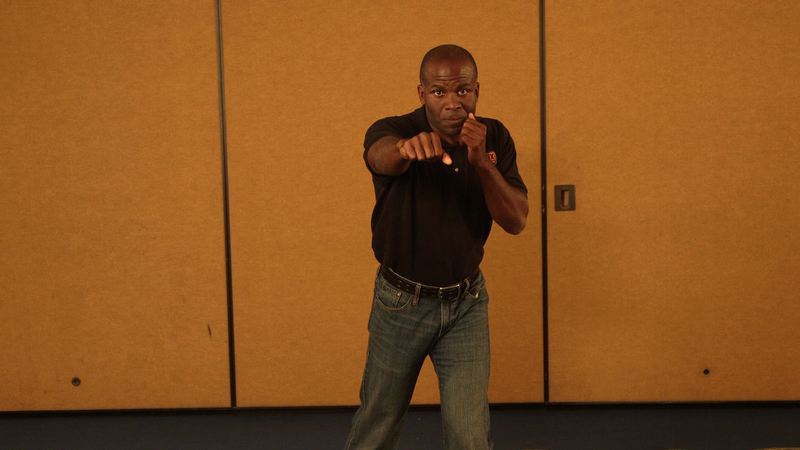 A comprehensive approach to self-defense includes both armed and unarmed skill development. While it is important to understand how these areas complement each other and can be integrated, this article will discuss the two areas separately as a starting point. Though it is reasonable that you may choose not to go armed and focus only on unarmed defensive skills, if you are going to the trouble of arming yourself and learning the related skill sets, you should certainly invest some time in the techniques you might need when you don’t have your preferred defensive tool, can’t access it, or it is not appropriate for the situation. Unarmed defense refers specifically to taking action with your natural tools to distract or disable an attacker from being able to hurt you. Natural tools include your forearms, elbows, knees, shins, feet, hands, fingers, forehead, and teeth. When you are attacked in extreme close quarters (within two arms’ reach), the use of these natural tools will usually precede the use of any defensive tool out of necessity. The first area to focus on is actually surviving long enough to escape or begin affecting your attacker. Focus on defensive skills to protect yourself from being seriously injured. The emphasis on defensive responses at the outset of an attack should be designed to keep you from being knocked unconscious, having your ability to breathe compromised, or becoming immobilized. After surviving the initial assault, focus on getting into a position to use your natural tools to affect the bad guy’s ability to hurt you. Select close-quarters striking skills to inflict damage upon your attacker in the context of extreme close-quarters defense. While punches, kicks and open-hand strikes can deliver a lot of energy, they require more space and accuracy than strikes with the knees or forearms/elbows. I generally recommend that people look at the types of strikes with these natural tools that are taught in Muay Thai as a fundamental skill set. Grappling skills should primarily emphasize being able to escape from the control of your attacker and secondarily to gain control of his limbs and body. These skills are taught in Greco-Roman wrestling and Brazilian jiu-jitsu. Understanding anatomy and physiology is important to your development of unarmed skills, especially in the grappling arena. While you don’t need a medical doctor’s knowledge of terminology or structure, an experiential understanding of how limbs and joints move — or don’t move — will serve you well in trying to maximize your movement and leverage while establishing control over your opponent. The best way to develop this knowledge is spending time grappling with other human beings. Unlike striking or shooting skills, grappling skills virtually require a training partner to be developed in any meaningful way. When you are ready to learn and practice your unarmed skills, look for schools offering “combative” or “defensive” skills, not sport-oriented programs. While the underlying skill set may very well be the same, especially in the early weeks and months of your study, the context of intended use is radically different. Finding a teacher who understands the nature of real-world fights and the use of the skills they teach in life-and-death situations is a must. It is not necessary to work your way up to the highest levels of a specific martial art in order to become very capable at unarmed defense. In fact, studying the minutia and extremely advanced points of any art may detract from your ability to focus on the more practical basic defensive skills. I often recommend that people interested in getting started in this area plan to spend three to four months as a basic student of Muay Thai and six months in a Brazilian jiu-jitsu school to learn the fundamental skills of striking and grappling, respectively. That said, while it may not take you long to learn the fundamental skills you need for self-defense, be prepared to spend a lot of time practicing and maintaining them. A variety of tools exist that you may choose to own, learn how to use, and carry to enhance your ability to defend yourself. These items include guns, knives, chemical sprays, batons, and electrical devices. You can also learn to use everyday items that you carry, such as keys or pens, as defensive tools. Firearms are the most potent defensive tool you can choose, but they require a significant amount of responsibility and training to own and operate properly. Defensive firearms come in many shapes and sizes, generally falling into three categories: rifles, shotguns and handguns. 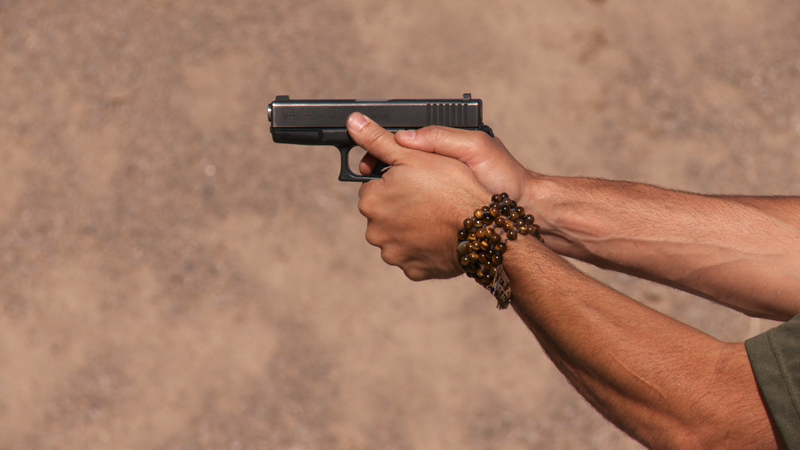 Of the three, the handgun is the most versatile for self-defense. While the rifle and shotgun offer more potential power and accuracy, the ability to conveniently carry a firearm on your body while going about your daily routine, and the handgun’s ease of use (provided you choose yours appropriately) trump its larger cousins’ qualities. When selecting a defensive firearm, focus on reliability and efficiency above all else. 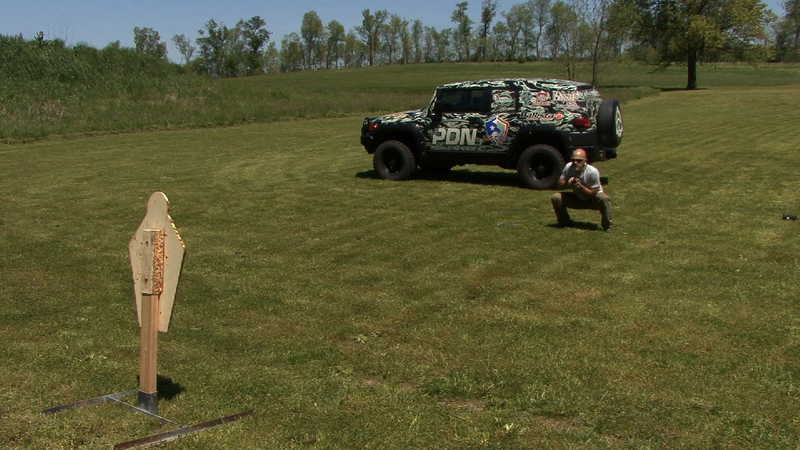 In your training, concentrate on applicable skills for the nature of a defensive shooting, not competition or marksmanship skills that may or may not apply. Many books have been written about defensive firearms selection and training (my last one was Combat Focus Shooting Evolution), so I will not go into much detail here. 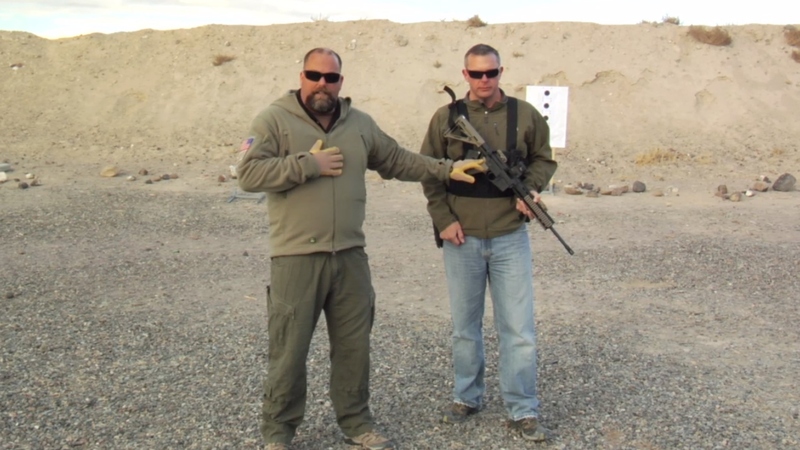 Many videos and other articles here at Personal Defense Network can guide you in this area as well. Many people who are “into” self-defense take it as an obvious assumption that anyone else interested in self-defense will want to own and carry a gun. Of course, that is not the case. There are many reasons for not being interested in carrying a firearm that do not equate to a lack of sincerity in regard to preparation for personal defense. Many people look at chemical and electrical devices as viable options for defensive tools. Each requires its own set of educational and training steps to be used as intended, and each has strengths and weaknesses. Chemical sprays cause distraction and disability in your attacker but can also contaminate you, especially in closed spaces or at extreme close quarters. Electrical devices tend to require training very similar to unarmed defense (for contact tools) and/or firearms (for devices that utilize projectiles to deliver the electrical charge). Knives are commonly carried utility items that can also be used for self-defense if carried properly and practiced with. How you carry your knife affects your ability to bring your knife into the fight quickly and easily. The type of knife you carry dictates its usefulness as well. There are many options for knives and carry locations. I prefer a small fixed-blade knife carried in front of the body centerline around the waist for maximum efficiency and versatility. Though difficult to use in extreme close quarters, impact devices can deliver a great deal of energy to an attacker and, if employed prior to contact, keep an attacker away from you. Typical impact devices that can be carried include canes, walking sticks, and collapsible batons. The latter are best chosen for discrete carry. While they take extra time to access and deploy, they offer the advantage of being used as a kubotan when in contact to activate pressure points or aid in the application of some grappling skills. As mentioned earlier, many everyday items can be used as improvised defensive tools, to take the place of specific blades, impact devices, or even chemical agents. The key requirements are that you have thought about, and practiced, their use ahead of time. In this way, the improvisation is conceptual, not a true spur-of-the-moment development. Many people who take self-defense seriously but spend time in places where they cannot overtly carry weapons will spend time developing the thought process and techniques related to the use of such everyday items as defensive tools. Remember: Carrying any tool expressly for defensive use is probably governed by your state and local laws. Firearms ownership also falls under federal regulation. 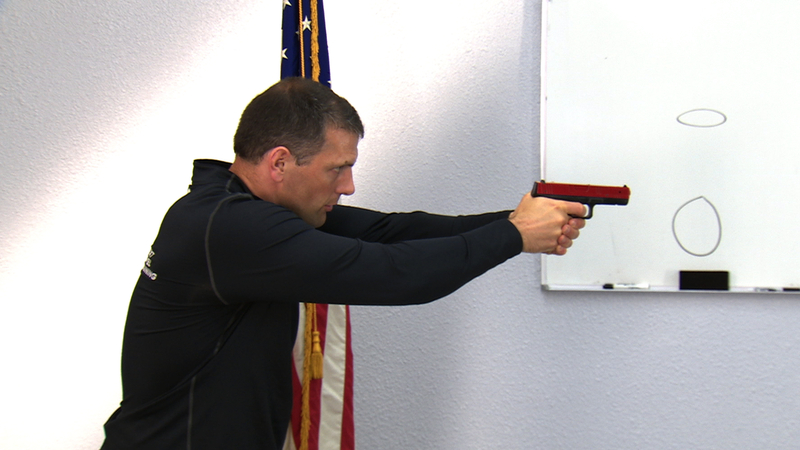 The importance of understanding the law in regard to your self-defense preparations was covered in a previous article, but a reminder here is worth the space. You must plan your defensive tool selection to be within legal boundaries, to avoid setting yourself up for failure in the aftermath of a defensive use of force. In the next installment of this series, we’ll talk about receiving professional training and developing a practice regimen. Without these steps, all the best intentions and conceptual knowledge will do you little good. 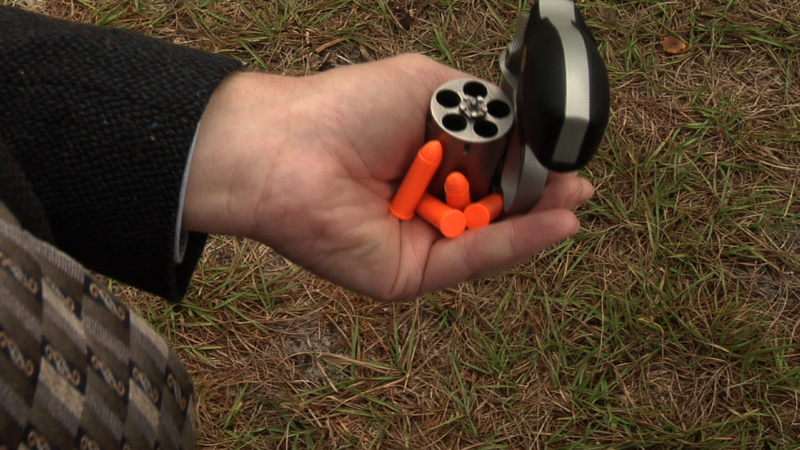 The objective with dry-fire training is to do it in short increments throughout the day.